Prior to completing this guide, you’ll need to have already signed up for OneLogin. Please note: only Helpshift Admins can complete the steps at the end of this guide where OneLogin is configured in your Helpshift Dashboard. 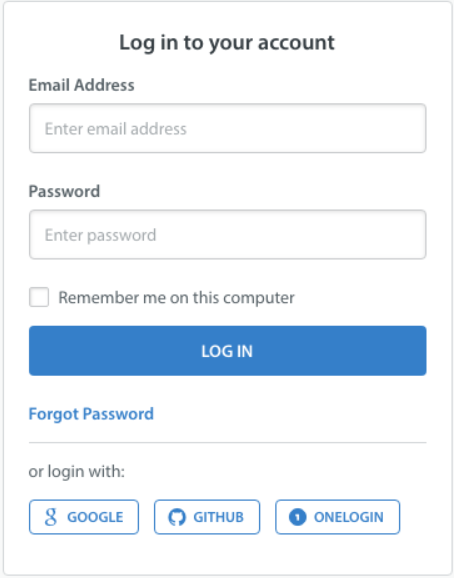 To integrate the Helpshift Connector, first login to your OneLogin account. From there, click on Apps > Add Apps. On the page that appears, search for and add the Helpshift Connector. You can add the Connector by clicking on it. Once the app is added, navigate to the Parameters tab. Click on the ‘Helpshift Domain’ field and and choose the ‘Macro’ value in the drop-down that appears. 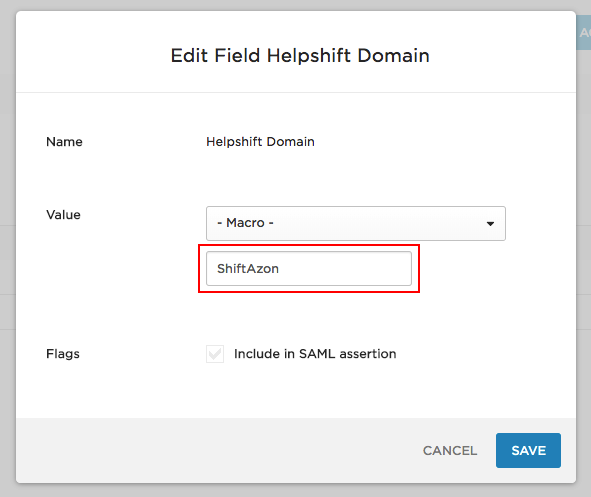 Enter your Helpshift Domain in the text area, then click ‘Save’. Next, navigate to Users -> All Users. On the page that appears, click on the User for which the Helpshift Connector must be enabled. On the page that appears, navigate to the Applications tab. On this page, click the + symbol on the right side to add the new app, thus adding the connector. 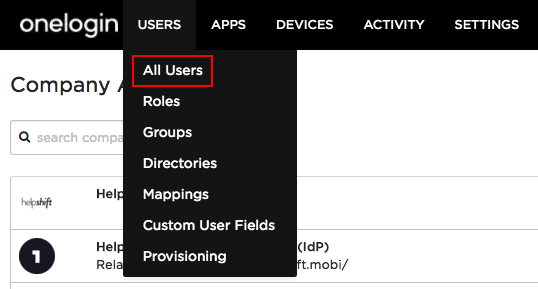 If needed, click on the user as listed on the Applications page to configure user-specific settings. The domain should always be constant. 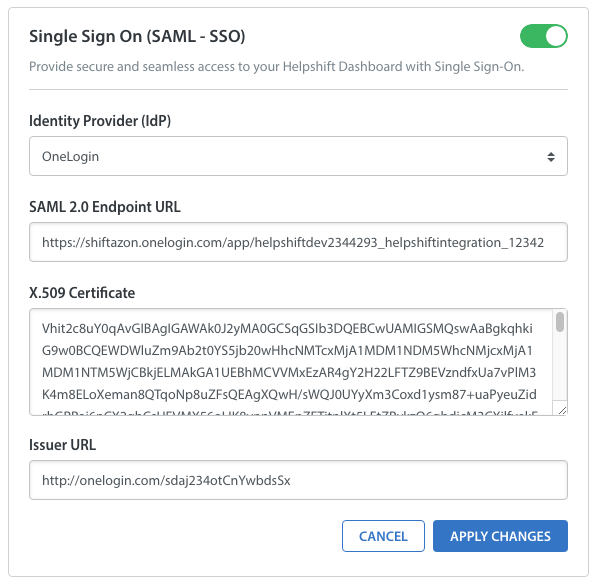 Now that you’ve integrated the Helpshift Connector app, you’ll be able to enable OneLogin SSO from the Admin Dashboard. 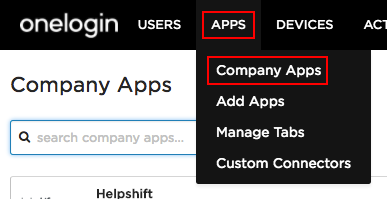 Within OneLogin, navigate to Apps > Company Apps. On this page, click on the Helpshift app. On the page that appears, navigate to the SSO tab. There are three pieces of information that need to be fetched from this page: The X.509 Certificate, the SAML 2.0 Endpoint URL, and the Issuer URL. These need to be pasted into the OneLogin SSO Configuration uploader in the Integrations page. 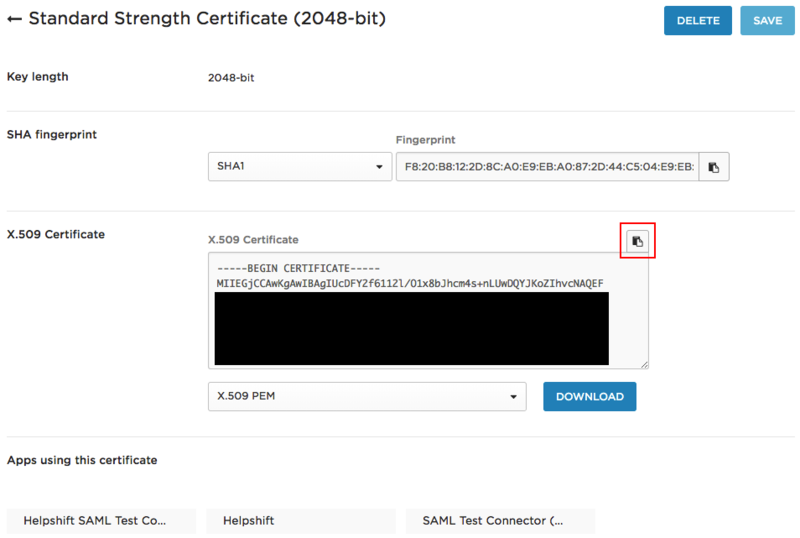 Click ‘View Details’ on the X.509 certificate to open up the full certificate details. The text of the X.509 Certificate that is between the “—- Begin Certificate —-” and “—- End Certificate —” markers should be copied. 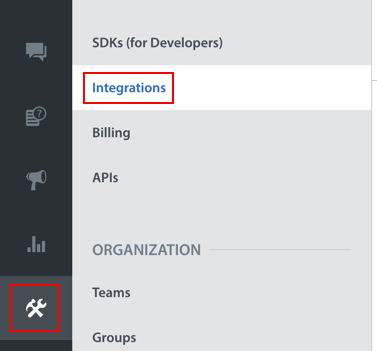 Once you’ve copied these items, navigate to your Helpshift Dashboard, then click Settings > Integrations. In the ‘Identity Provider’ (IdP) drop-down, select ‘OneLogin’. 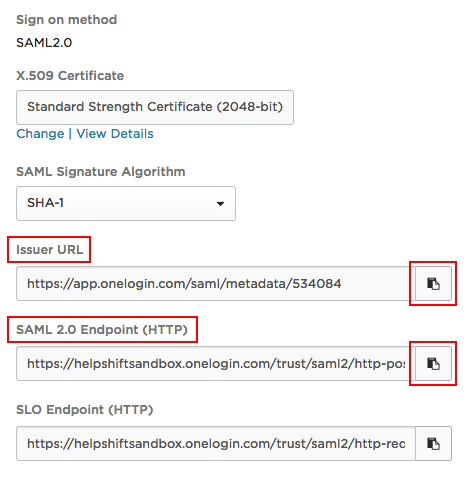 Copy-paste the X.509 Certificate, SAML 2.0 Endpoint URL, and the Issuer URL using the OneLogin SSO Configuration updater. Enable the toggle in the top right, then click the ‘Apply Changes’ button to save your SSO Configuration. A OneLogin button will now be visible on the Login Page.